Joblogic is a powerful but user-friendly Service Management System designed for any company that installs and maintains equipment. Connect your customers, back office and field technicians together in a single system. Specialist equipment companies typically provide installation, planned maintenance and repairs on the kit that they supply to customers. Customers often have multiple sites with equipment in different locations. 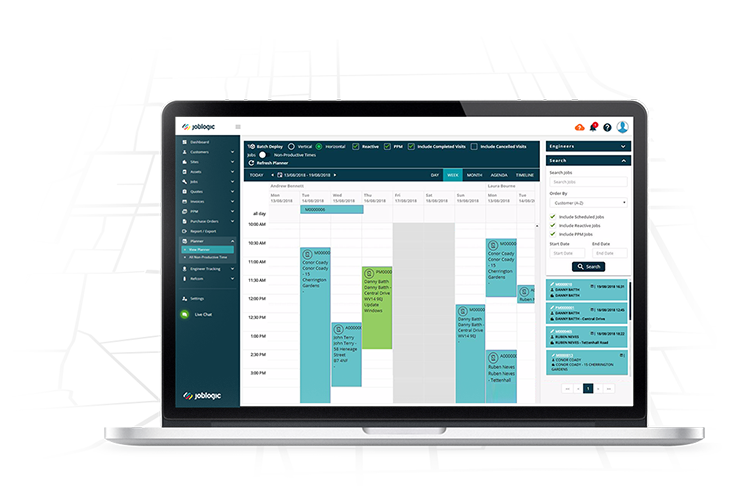 Joblogic provides a powerful alternative to managing your service operations rather than relying on manual systems or spreadsheets. If you provide planned maintenance on the equipment that you supply Joblogic has the perfect tool for scheduling the maintenance jobs and renewing contracts. It's easy to record equipment details including location, serial number and installation dates. Simply add your equipment to the required job frequency and you won't miss another maintenance visit. 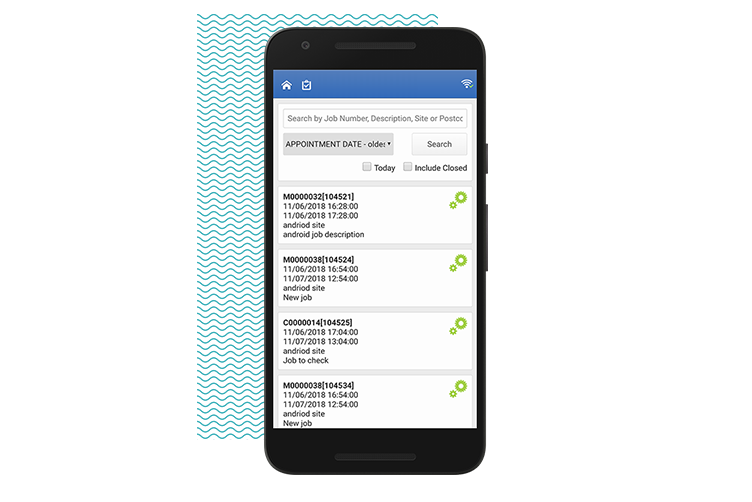 Do away with paper job sheets and eliminate non productive visits to your offices by sending jobs straight to your team in the field. Our mobile app runs on Android or iOS and works fully offline. Your engineers can capture signatures, photos, timesheets and parts. They can also complete bespoke workflows which we will create to replace your current paper systems. 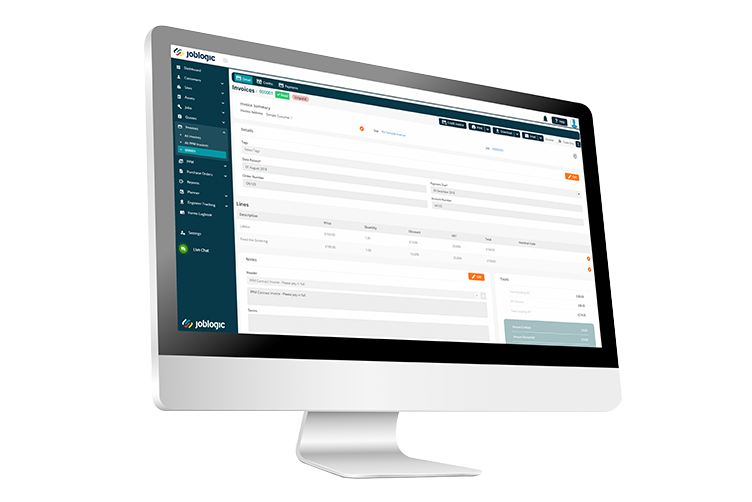 In addition to managing your service operations Joblogic can also be used to raise invoices. You can capture the costs against each job and report on profitability. Sales invoices are branded for you and can be emailed directly to your customer, or they can download them from the Customer Portal. Joblogic will also integrate with your accounts software to save your administration team time in the office.